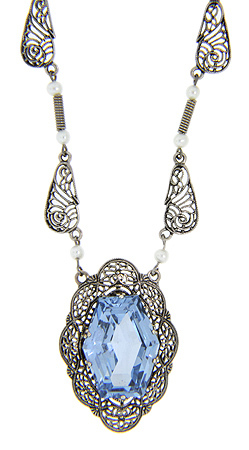 This sterling silver necklace has a spectacular synthetic blue topaz. Cultured pearls serve as accents and as a bridge between the necklace and the pendant. The necklace is composed of filigree links and detailed filigree surrounds the stone.